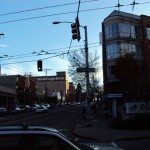 "I'm moving to Seattle and will be working on First Hill. 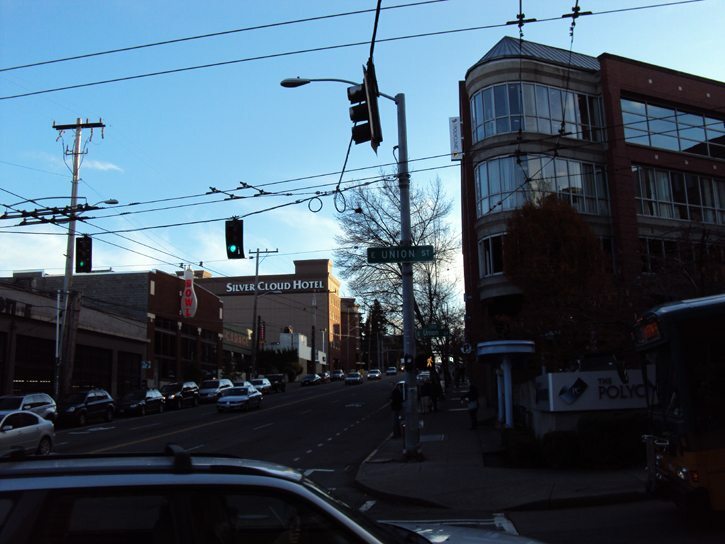 which will be closest to my new work place. 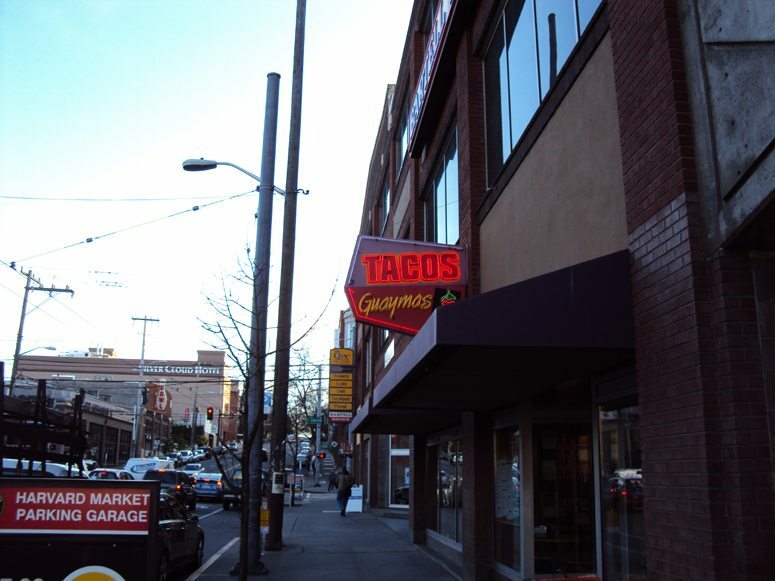 This store is located inside a QFC grocery store on Broadway at the corner of Broadway and Union. I don’t usually visit licensed stores, but ran in today and bought a Pumpkin Spice Latte. The store has an old Verismo machine. There were two people working. 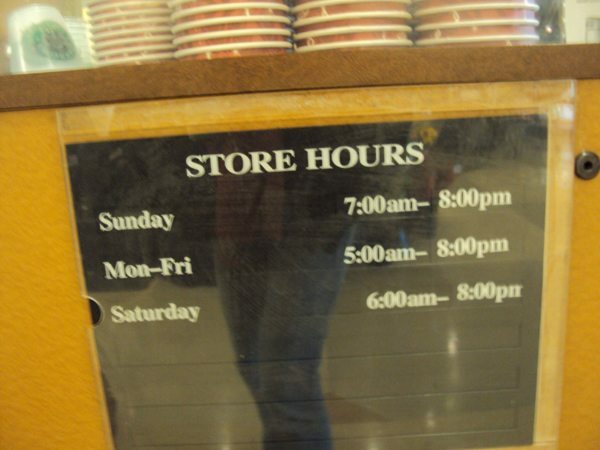 The young man at the register was quite friendly, and saw me taking a pic of the store hours (I thought that might be useful information for you) and naturally, asked what I was doing. 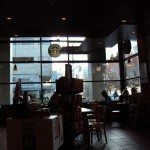 We had a minute of small talk and I explained that I blog about Starbucks. He seemed genuinely intrigued, and asked me what my favorite Starbucks store is? 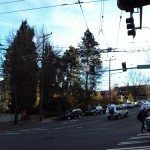 I mentioned that I am a fan of the “concept” store at First and Pike. 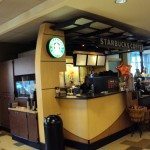 He had no idea what a Starbucks concept store was. 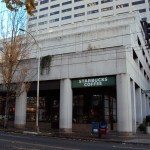 Despite that often times the licensed locations baristas do not seem all that knowledgeable about Starbucks, the QFC locations seem to work pretty well as Starbucks locations. 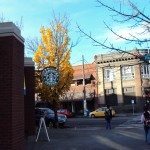 At least in Seattle, the QFC locations do a good job of having friendly baristas, and also their licensed stores even honor most of the Starbucks discounts and promotional programs. For example, today I received my 10 percent discount when paying with a Gold Card. 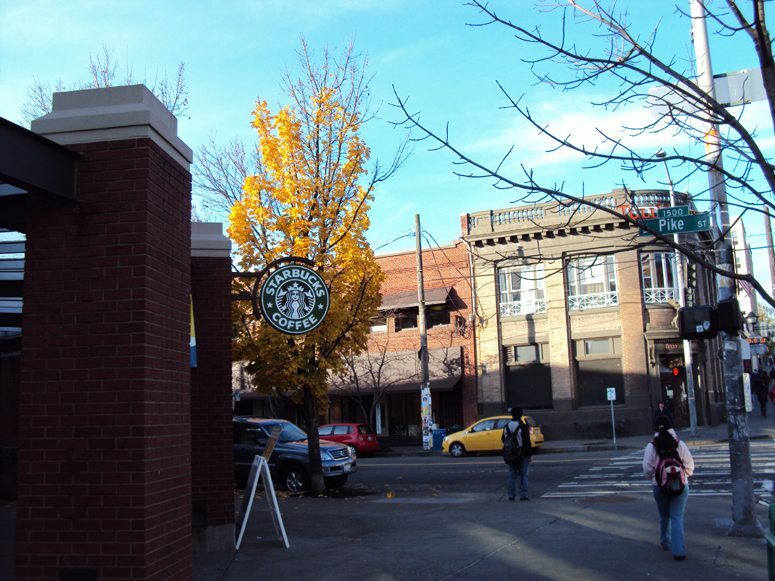 Granted, these are not Starbucks employees at this QFC Starbucks, but in truth it is NOT a bad option for a quick Starbucks run. I wouldn’t recommend it as a place to camp out and stay. There were only four tiny square tables, and I wanted to pics of the tables but the place was busy, and all seats were taken, so there was no way to take pictures without getting a ton of people in the pics. My pumpkin spice latte tasted fine. 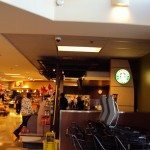 if you ever have questions about licensed stores, i am quite knowledgeable, as that is where all of my starbucks-related ‘working’ knowledge comes from, although i was in a safeway version, rather than a qfc. I like reading the store reviews too. And how nice of you to review stores for a reader! I also enjoy reading store reviews. 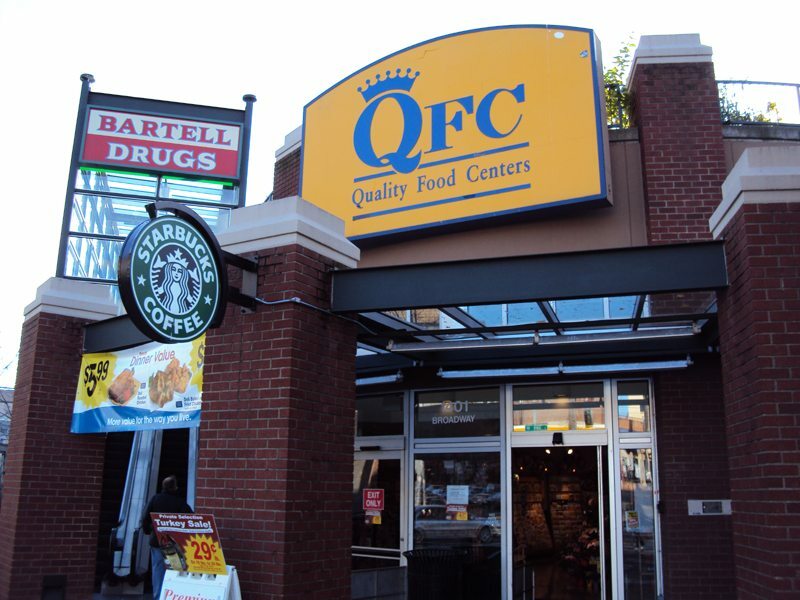 What is QFC? Is it a grocery store or something? Hi Nathan! 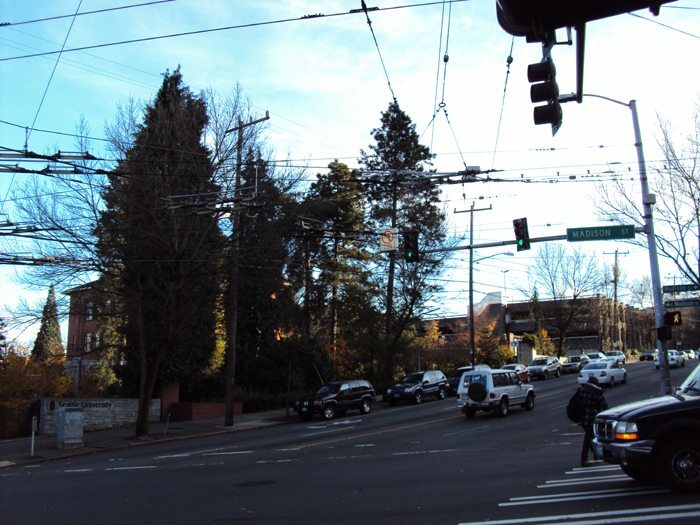 Sorry I should’ve made that clear – yes, QFC is a chain of grocery stores here in Seattle. Thanks for the clarification Melody. Hey, did you get my email with my mailing address for you to send the Aged Sumatra? Maybe a silly question…The licensed stores – is that like a franchise but for like corporations like Target? Thank you so much for the reviews – I really appreciate them! 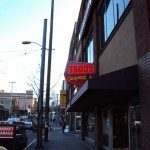 I am looking forward to moving and experiencing everything Seattle has to offer, including these stores. Thank you again!!!! I personally am not a fan of “licensed” stores. 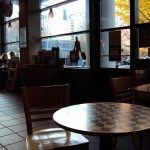 While I’ve never been disappointed with the quality of service or the coffee, what bothers me is the fact that Starbucks stores in Target won’t honor the Gold card or Duetto card discounts. 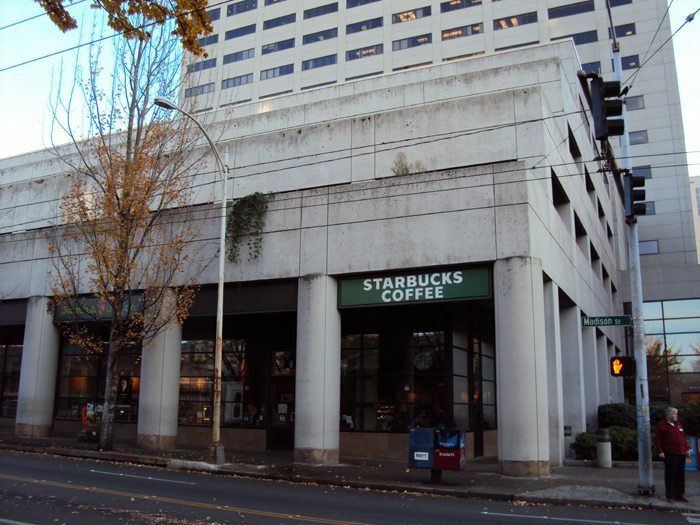 To me, if these stores purchase the right to display the Starbucks name, sell Starbucks products and market themselves as a “Starbucks” store, then they should honor ALL Starbucks discounts. 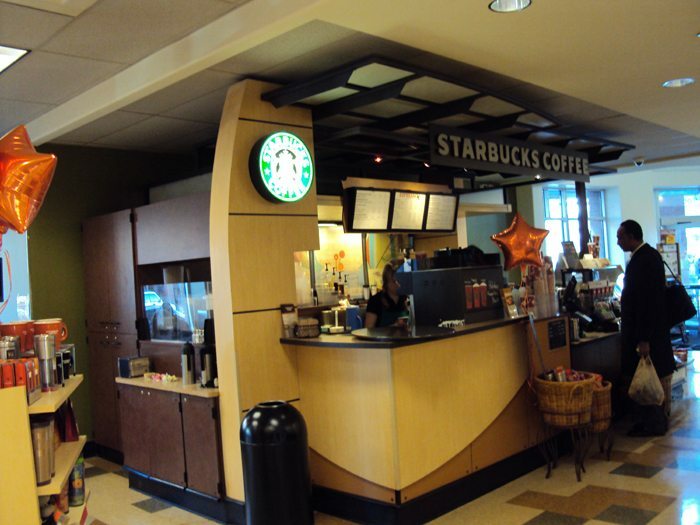 By the way, the absolute best barista service I ever had was from a barista in a tiny licensed Starbucks inside a Safeway (or something like it) in Oxford, Mississippi. Super-considerate and made me three coffees and didn’t care how long I camped out. 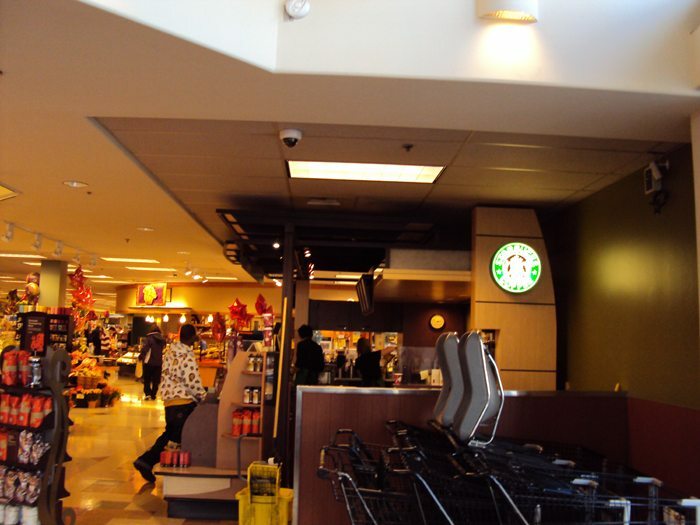 I’ve had my best Starbucks experience at licensed stores…particularly QFC Stanwood. 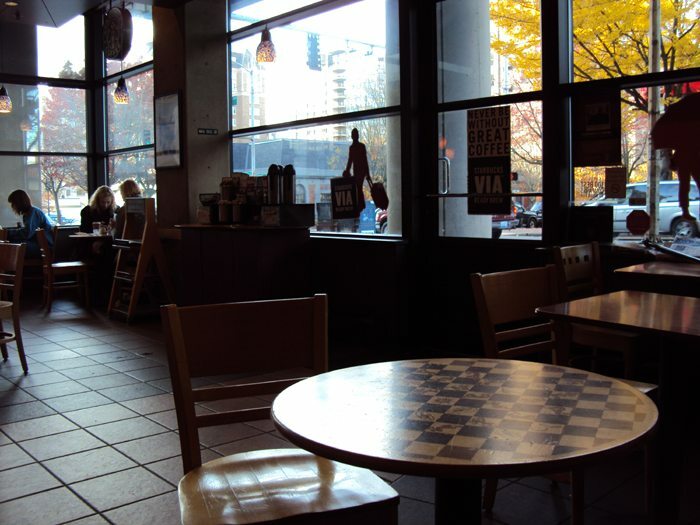 Their baristas are very accomodating and insure a great coffee experience. Very friendly and knowledgeable. 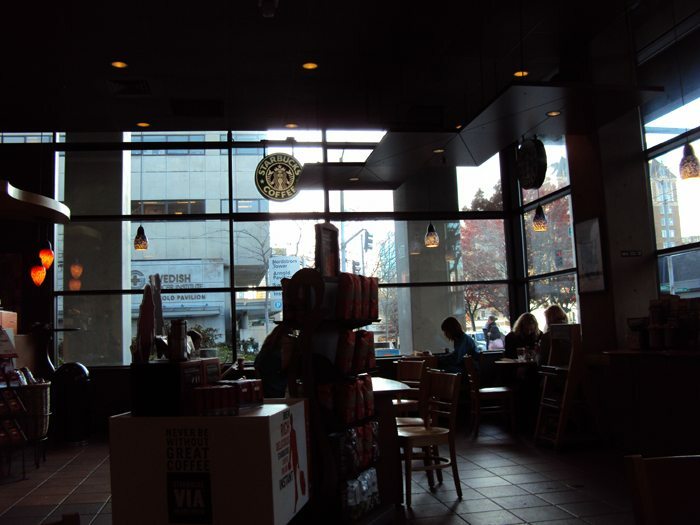 There is also a corporate Starbucks right outside in the parking lot, and they actually give the corporate store a run for their money.